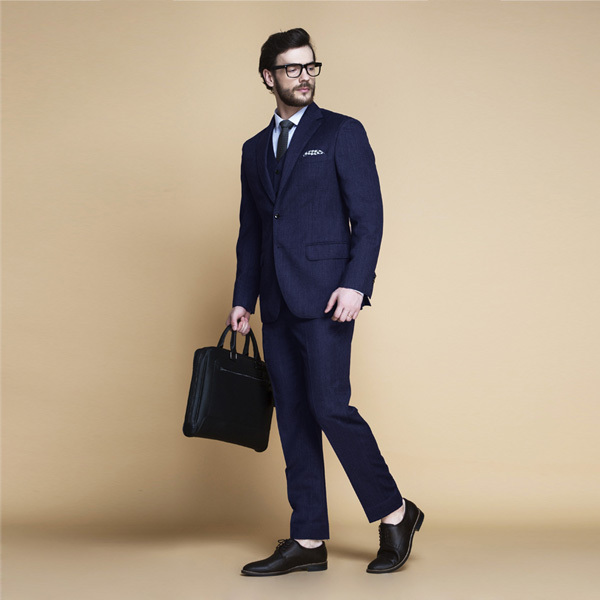 Piccadilly Midnight Blue Flannel Suit - (Flannel Wool, Super 120s) - Fitted by A.I. 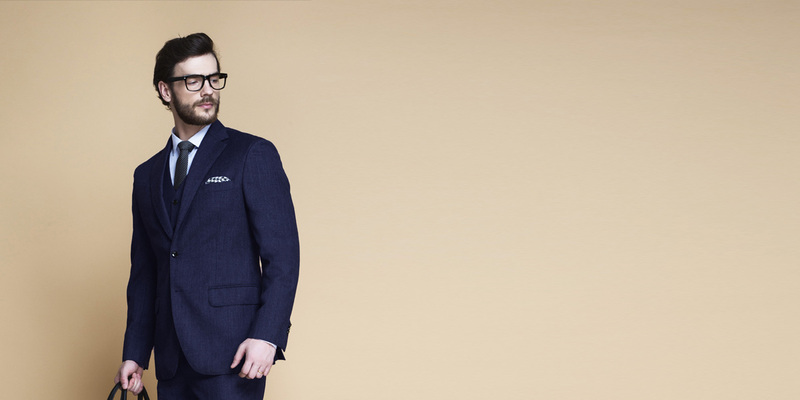 This Piccadilly Midnight Blue Flannel Suit can be personalized. Create perfection with a simple 3 step process. 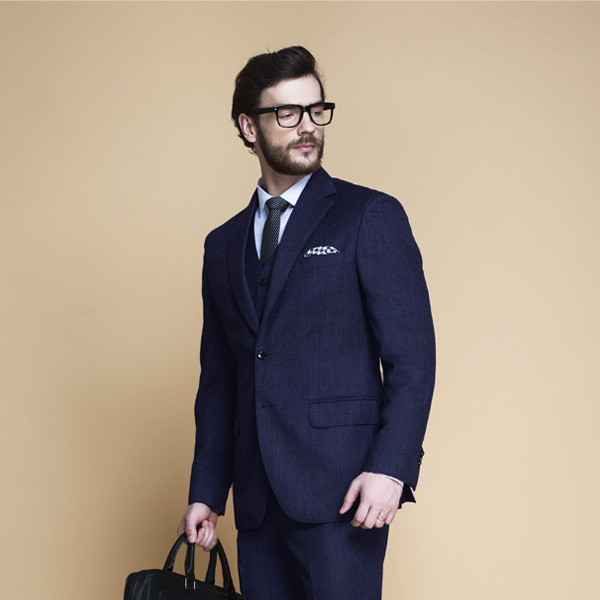 Putting on this beautifully crafted Midnight Blue Flannel Suit will elevate your spirit, extol your sense of self and help you define as a man to whom details matter. Made out of Super 120s - Flannels are considered to be one of the most sophisticated fabric choices ever. I can go all over the world with just three outfits: a blue blazer and grey flannel pants, a grey flannel suit, and black tie. This mantra belongs to Pierre Cardin. 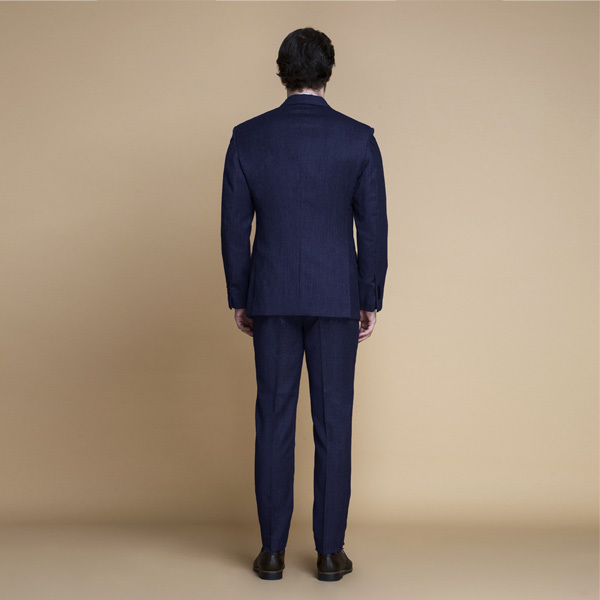 And in keeping the sartorial importance of a Flannel Suit in mind, this suit has been cut from lightweight worsted Italian fabric which has a distinguished touch finish. The best part: with this suit, you get a flannel suit, a flannel trouser, and a flannel blazer. 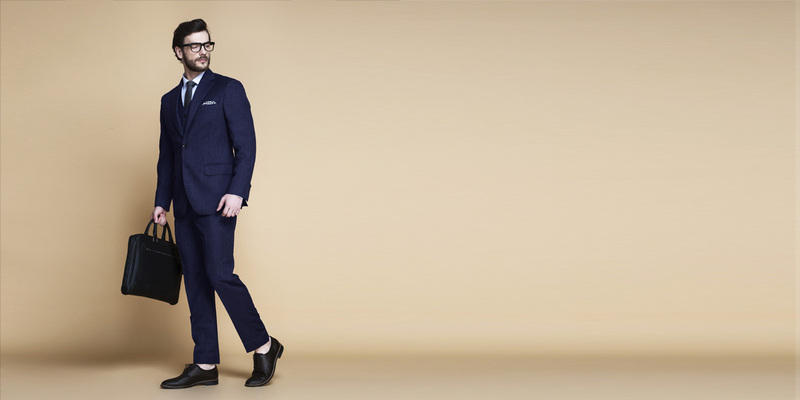 Upgrade the look with a flannel vest and combine with a crisp shirt, formal shoes and an elegant silk pocket square. With beautiful luxurious fabrics on the outside, we ensure high class luxury even on the inside! All Hangrr Suits are crafted with brilliant attention to detail & a whole lotta love. 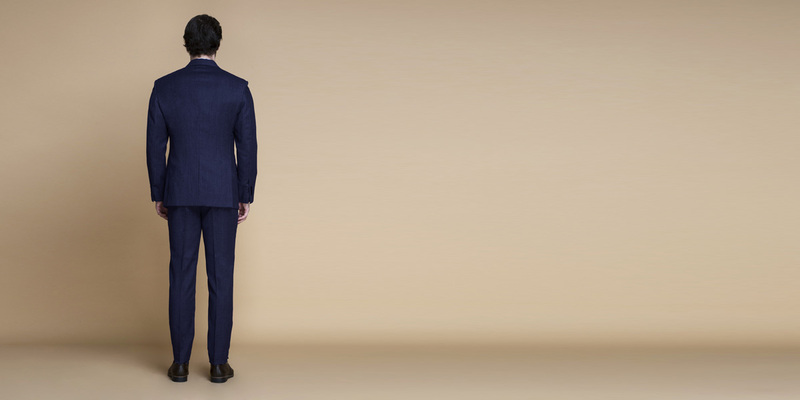 A Half-Canvassed construction in every suit ensure a classic drape and beautiful naturally rolled lapels, making you very prone to compliments every second! 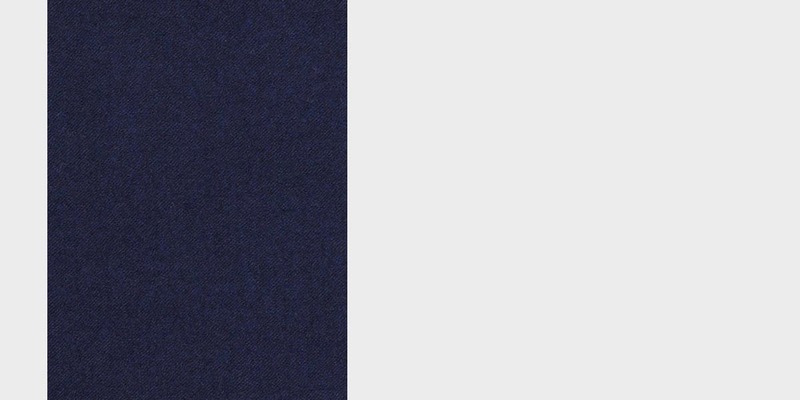 Presenting the - Pure Wool Fine-Worsted Navy Blue Flannel fabric. 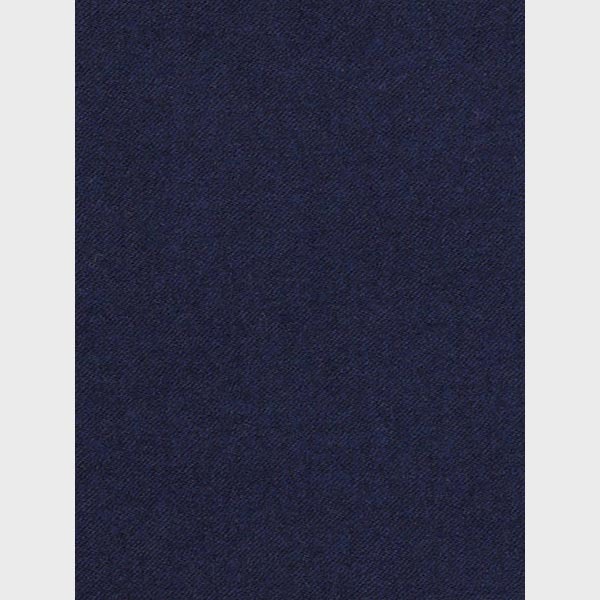 This amazing navy blue pure wool fabric has a flannel weave and is part of our flannel wool collection. This fabric weighs around 260-270 gsm.